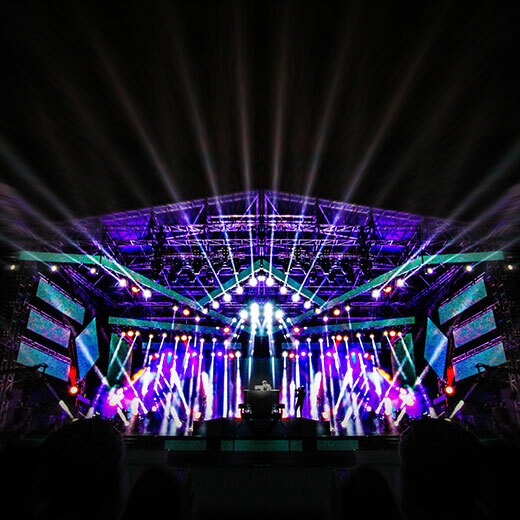 Our very resourceful in-house team helps us plan entire experience from scratch: stage building, constructional architecture, curation of visual content, sound design and lighting. Each of these departments are headed by respective engineering heads. Our approach towards a concept is largely multi-dimensional, immersive and sonically adaptive. At BToS Productions, we firmly believe that content is key to the experience. We graphically and video graphically generate content for our shows, evidentially making the design and experience larger than life.